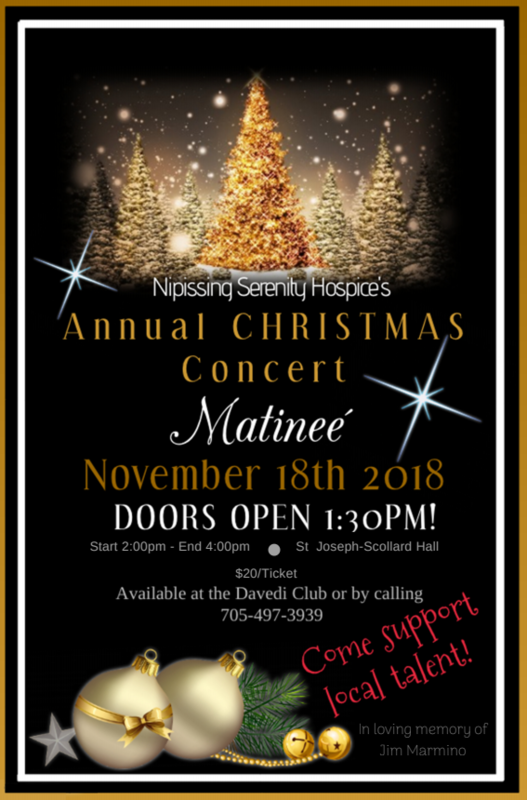 A community celebration featuring local talent to support the Nipissing Serenity Hospice. In memory of Jim Marmino. Tickets available at The Davedi Club (705) 474-4190.